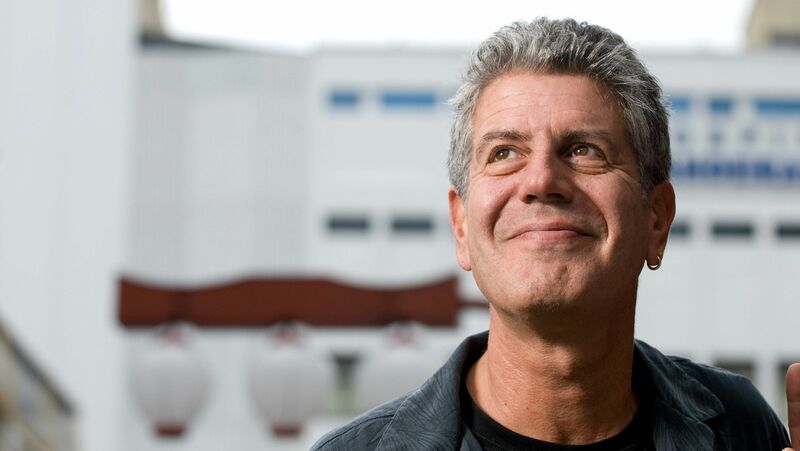 Anthony Bourdain & Kate Spade: Some thoughts on the standard social media reactions to suicide. I’ve been quiet on this blog lately, for a lot of reasons. One of which is getting caught up on other projects, another of which is evaluating in which directions to move this space. But I shared this on my Facebook, and it’s practically a novel, so I thought I’d share it here too. If you’ve been reading me for awhile, you’ve heard some of this before. I lost my mother to suicide. Social media, for me, has been a minefield the last couple of days. I usually stay quiet at times like these, because the grief comes back all to easily, and with grief always comes a difficulty with words – a trouble expressing. And there is always that old truth; that it is easier to hide pain than to show it. Which brings me to the first point I want to make. A very popular response to news like this is to share National Suicide Prevention Hotlines. Which is fine, don’t get me wrong. Get that information out there. Keep sharing it. Having this resource is an excellent first step. But I can’t help but think of all that I know about actually trying to access care. It is not as simple as calling a phone number. It is not an answer, as all those #chooselife and #dontgetsolowyoucantgetout hashtags imply. The phone number is a crisis response. It’s a band-aid while you wait for surgery. Trying to access care looks like months of waiting. Years of ‘trial and error’ with medications. Getting turned away from emergency services because the beds are full. While we’ve seen radical advancements in technology and medical science, our response to mental health illnesses has remained relatively the same for hundreds of years. We isolate and segregate. We stigmatize. Did you know that schizophrenia occupies the most hospital beds compared to any other illness (even cancer), yet continually receives the lowest funding in research for new treatments? Our mental healthcare system as a whole is desperately, dangerously, perilously underfunded. A crisis hotline is a reactionary measure. Our entire mental healthcare system is based upon a reactionary response system. We react to mental illness. Until we stop reacting to mental illness, and start proactively building mental health – our system will remain overburdened. We need to restructure the entire system, and there are no easy answers. Hell, there aren’t even answers at this point. The Suicide Prevention Hotline is a crisis intervention. It is not a solution. And I believe you. I know you mean it. Giving help is far easier than asking for it, however. Reaching out, being vulnerable, is hard AF. We live in a society that has a strict view on what qualifies as ‘strength’, and vulnerability is rarely a part of that equation. For example, I am outspoken about how I lost my mother, and each and every time – whether it be on the news, on social media, in an article I’m writing, or speaking about it to an audience or just one person… requires me to be vulnerable. It is terrifying every single time. For every time I speak out, there are 10 times I don’t. Because it takes herculean amounts of energy and courage and willpower to do so. It is far easier to say nothing. I was talking to a war veteran recently who had been newly diagnosed with PTSD. He was struggling with whether or not to tell his family. It didn’t fit into his script about himself. That he was the strong one, the rock for everyone else. It felt like his diagnosis ran in contradiction to that, that ‘PTSD’ took away ‘strength’ from his identity. I suggested that maybe we have to redefine what constitutes as ‘strong’. Maybe being the best role model for his daughters didn’t mean being flawless, impervious in the face of trauma, but being courageous enough to show the cracks in the amour. To have the strength to show vulnerability and imperfection. To be honest about struggling, to be a living example that you don’t have to be ashamed to struggle. That we all struggle. To be human is to be perfectly imperfect. That we can value courage over perfection. That maybe the measure of a man isn’t whether or not he struggles – because struggle is an inevitable side effect of living – but how he faces that struggle. Because that’s a script that desperately needs changing. We need to stop stigmatizing mental illness. People who suffer from mental illnesses are not ‘weak’. They are demi-gods who somehow manage to lift the unbelievable weight of suffering and pain and still go on to accomplish incredible things like founding a multi-billion fashion empire – or becoming an internationally-known personality traveling the world exploring culture, cuisine, and the human condition. People living with mental illnesses are demi-gods who still manage to raise families, hold 9-to-5 jobs, live life, and do all the things the rest of us do in our day-to-day lives all while maintaining that herculean effort it takes to live with a mental illness. People who die by suicide, did not die in ‘a moment of weakness’. They were defeated by an illness. “Our friend died on her own battlefield. She was killed in action fighting a civil war. She fought against adversaries that were as real to her as her casket is real to us. They were powerful adversaries. They took toll of her energies and endurance. They exhausted the last vestiges of her courage and strength. At last these adversaries overwhelmed her. And it appeared that she lost the war. But did she? I see a host of victories that she has won! 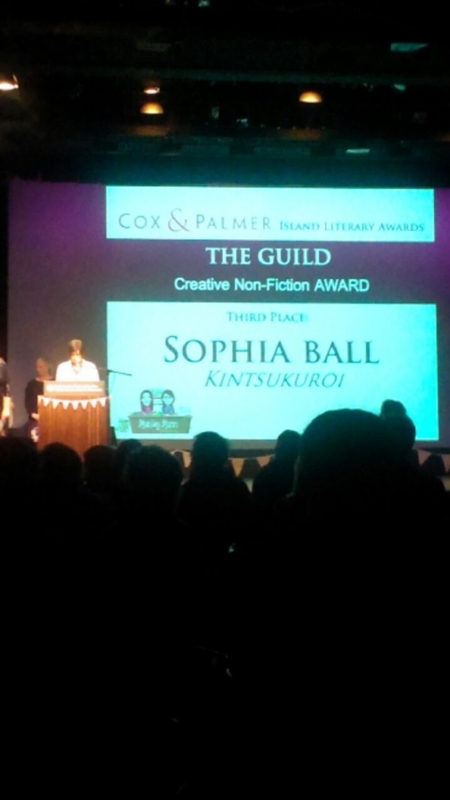 So remember when I wrote about how I was up for an Island Literary Award? Well… I took third place! I’ve never entered any type of contest, ever. 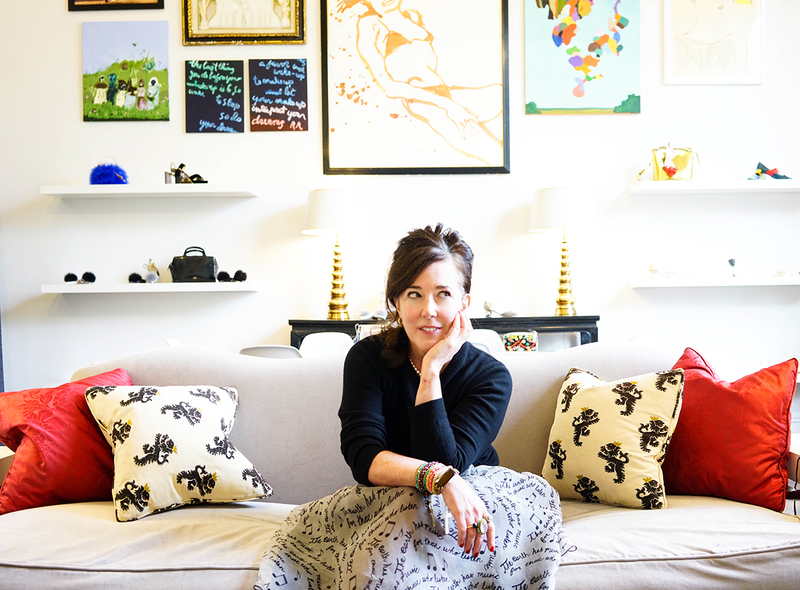 There was always too much going on at home to enter any school contests, the way that I grew up forced me to focus on simply surviving – I didn’t have the capacity for anything else. The piece that I submitted is about the darker currents in my life – growing up with a mentally ill mother and the impact this had on our relationship, how it became frayed and fragmented over time. I open on her funeral, and then in between the footsteps leading me to her coffin I flashback to memories that build the understanding of the complexity of that relationship. All the ways she built me and broke me. I put some pretty raw things in there. Being ripped from her arms screaming, packing my things into garbage bags, losing track of foster homes, learning in a group home from another kid how to break open a razor blade and self-harm as a coping mechanism. Breaking into her apartment to find out if she’s dead or alive. I hid these things from the world for a long time. People who know me in the real world are shocked to find out about my childhood.”But you’re so happy and well-adjusted!” I don’t fit the mold of someone with my history. I’ve been told I’m a statistical anomaly. I think this means I’ve done a pretty good job of healing my wounds in the battlefield. But I was scared of how others would view my history, afraid that they would see my emotional scars as a weakness. I think as I get older I’m learning that all these parts of me make me stronger, not weaker. I’m learning to embrace my story. So this is really special to me. Perhaps I’m starting to figure out to how to not just simply survive, but thrive. Although I suspect it will always feel as if I’m making it up as I go along. It helps that I can buy wine now too. 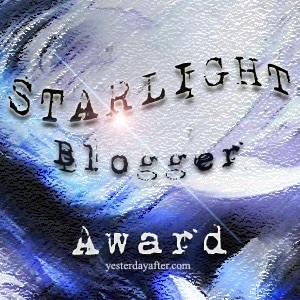 Anyhow, now I have this award that I can frame and put up on my wall to use as armor against that tiny voice in the back of my head that whispers “cant’s, shouldnt’s, wont’s” in my ear. I can point to it and say “screw you, little voice. I do what I want now”. Mental illness is a civil war. Next week they are doing an inquiry into my mother’s suicide, because she died in the hospital. This post talks about suicide and mental illness and may contain triggers. Feel free to skip it and come back when I’m funny again. This is for all of you out there that might be missing someone you lost to mental illness. Or grieving at all. This is a quote someone shared with me that represents the battle that so many face with mental illness. I unfortunately don’t have a source. “Our friend [your mother] died on her own battlefield. She was killed in action fighting a civil war. She fought against adversaries that were as real to her as her casket is real to us. They were powerful adversaries. They took toll of her energies and endurance. They exhausted the last vestiges of her courage and strength. At last these adversaries overwhelmed her. And it appeared that she lost the war. But did she? I see a host of victories that she has won! This post is about my mother’s suicide, and may contain triggers for some. Feel free to skip it and come back when I’m funny. Today is the 1-year anniversary of my mother’s suicide. This has been a difficult journey, to say the least. A hard road to walk. There have been days where it was all I could do to crawl forward. There have even been days I simply lay down on the path, gasping and defeated. Suicide is what they call a complicated grief, and the past year has been a whirlwind of emotions. I have been overwhelmed by guilt. I have been angry. I have been sad. I have been heartbroken. I have been broken. I have these emotional wounds that aren’t visible to the human eye. That no one can see just by looking at me. I carry them within, and I can choose to revel them, or keep them hidden. But they will always be there. Eventually they scab and scar over, but time alone does not heal. We have to work at it. We do not get over grief, we get through it. We do not let go of our grief, we grow and expand to make room for it until it doesn’t hurt so bad. But the scars remain. We carry them with us always. Someone showed me this picture on the internet the other day, about kintsukuroi. 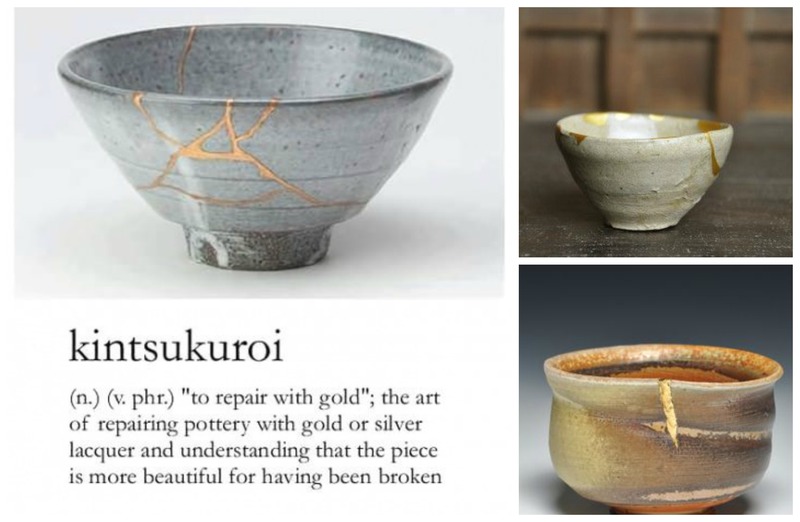 Kintsukuroi is the “art of repairing broken pottery with silver or gold and the understanding that the piece is more beautiful for having been broken”. With how many times I have felt broken over the last year, this really resonated with me. I believe that this applies to people as well. There is room for hope and healing, if we make it. We can thread silver or gold through our internal scars and become better people for them, with a richer history. Our pain can make us more empathetic to others, more compassionate, more understanding, more caring. Stronger. More beautiful. 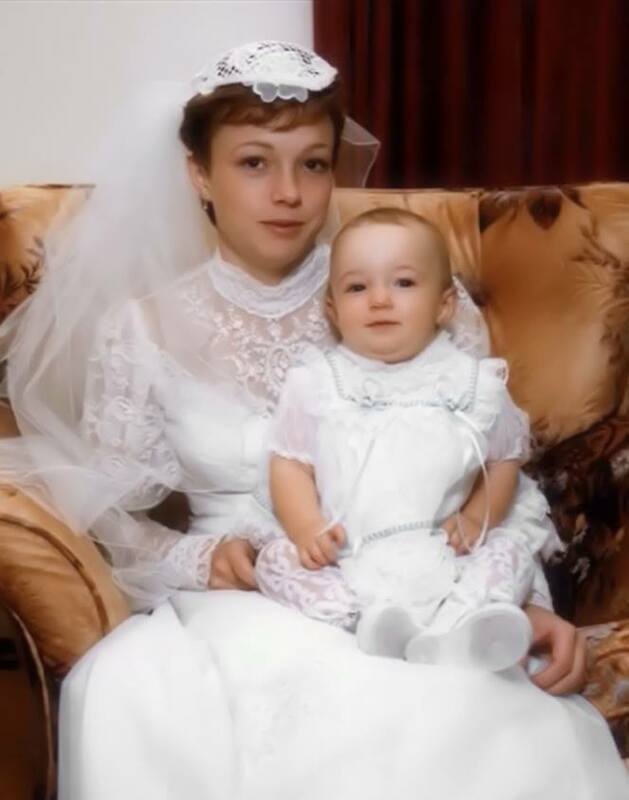 My mother and me on her wedding day. I miss you mom. Today and every day until the end of my days. Thank you for making me more beautiful, in your own way. I hope that wherever you are, you too have found hope and healing. Happiness and peace. Rest. And although you are no longer here, our love for you remains. There is a lot of laughter and joy in my life, but sometimes, some days, it’s ok to not be ok. Today is one of those days for me. 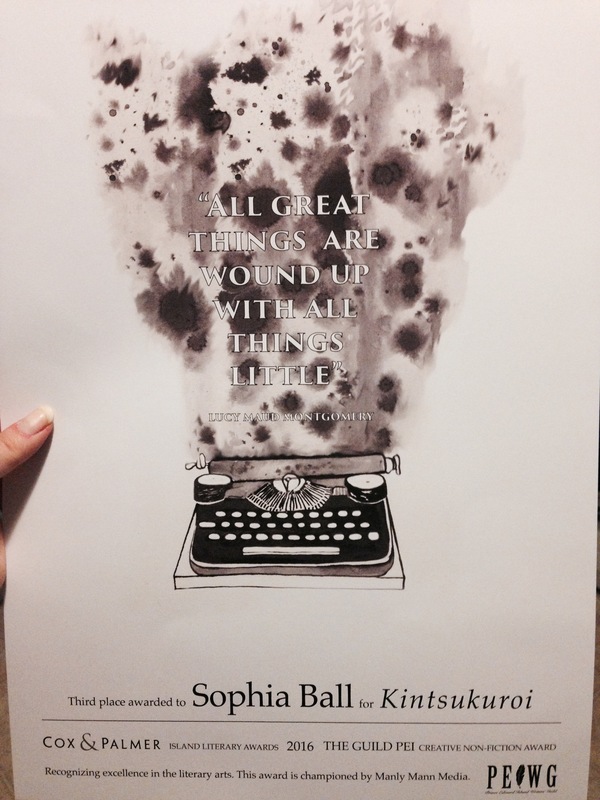 I find it easier to be vulnerable in writing – so I write. Thank you for allowing me to share that here.